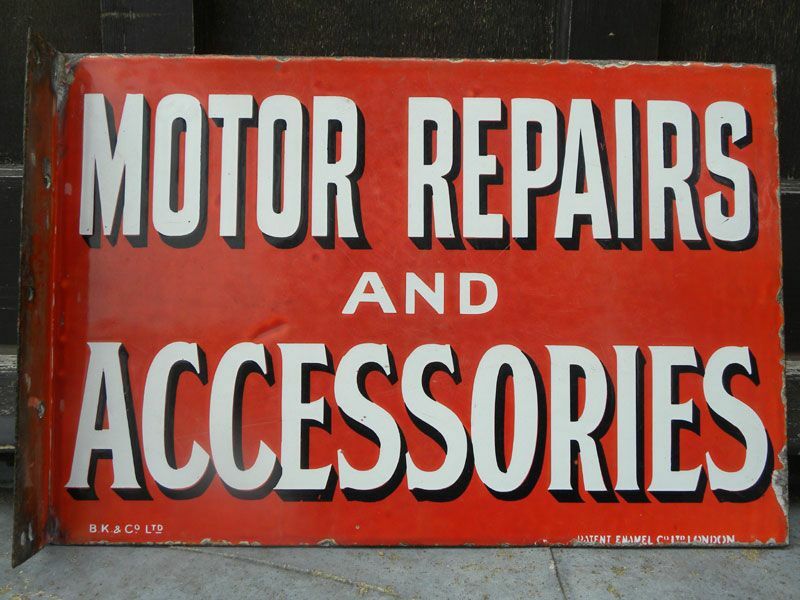 A double-sided flange-mounted enamel sign: 'Motor Repair & Accessories' in red/cream. Manufactured by the 'Patent Enamel Co. Ltd, London for B.K. & Co. Ltd. 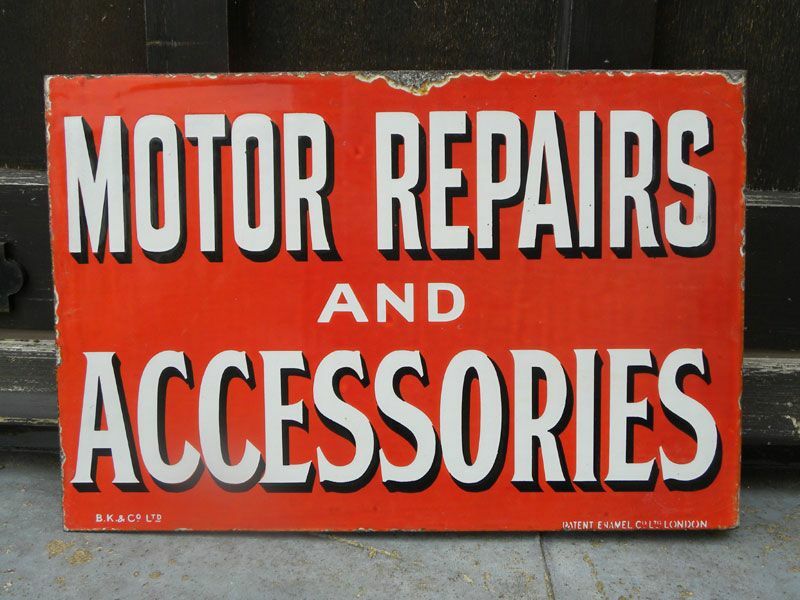 Offered in excellent original condition, save for light enamel loss/wear. Very good gloss. 18x12".